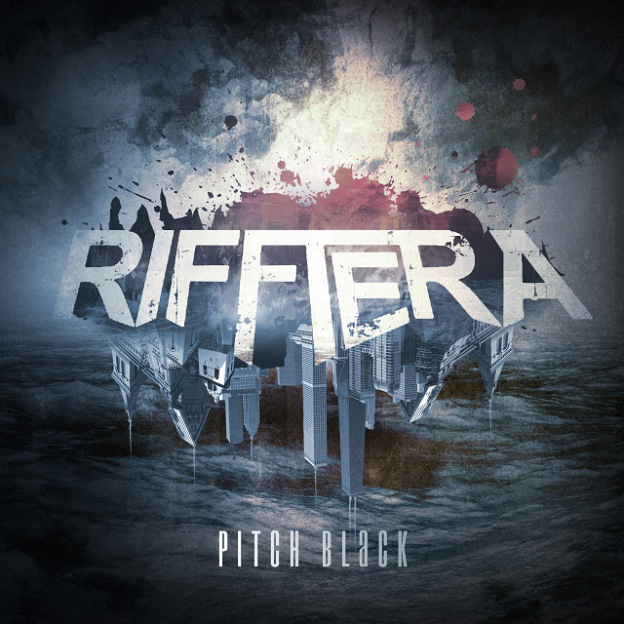 Review: "Rifftera: Pitch Black" - Sea of Tranquility - The Web Destination for Progressive Music! The debut full-length album from Finland's Rifftera is quite simply a killer. There are 8 songs that are angry, tight and heavy while being melodic and at times quite beautiful. The music is very guitar riff heavy and slots in nicely with all the great Scandinavian Melodic Metal (I hate that Melodic Death Metal moniker!) that has come out over the past few years from the likes of Scar Symmetry, Soilwork and Mnemic. Rifftera features Janne Hietala-guitar, harsh vocals, Mikko Kuoppamaa-guitar, clean vocals, Antti P�ntinen-keyboards and Jupe Karhu-bass, with clean and harsh vocals being split between the Hietala and Kuoppamaa. The result of Pitch Black is a heavy and stabbing one that grabs you from the get go with opening track, "Back to Life". Lead single and video, "Rotten To The Core", is a go for the throat, unrelenting heavy mutha that features the great Speed Strid of Soilwork on guest vocals. This is not your typical lead single, as "Rotten To The Core" might wind up being your favorite track on the record, it totally crushes. Clocking in at 54 minutes with just 8 tunes, Pitch Black is a futuristic sounding endeavour that blends the excellent use of keyboards as atmosphere in with the blunt force of Thrash meets modern day (ugh!) Melodic Death Metal. "Lightbringer" is a nice example of Rifftera's melding of a bunch of Metal staples into one cohesive pounder. Their clean vocals are searing while the harsh vocals are never Cookie Monster-ish, so understanding the lyrics isn't an issue. A song like "Ashes Fall" has a Biohazard/Hatebreed type of breakdown section along with that killer Scandinavian Melodic Metal riffing. This is easily one of the best debut's of 2015. Rifftera has a Metal masterpiece with Pitch Black and it does not really lack anything. Heavy, melodic, great guitars and all within some excellent Modern Metal tunes. The only downside of Pitch Black would be that there are only 8 tracks to dig on! Welcome to the fray, Rifftera, because this is an excellent, excellent way to start.